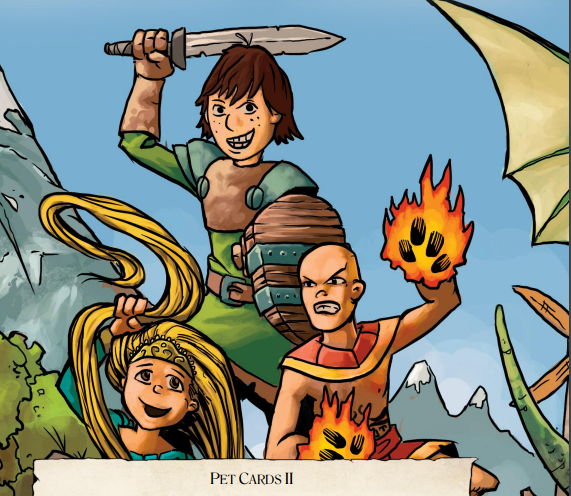 Justin Halliday and Hero Forge Games have just released a new Pet Card II Fantasy Expansion for Hero Kids with 10 new companions! The good news is, if you’re a previous bundle purchaser, you should’ve gotten a download link in your email via DriveThruRPG to get the expansion for free! Don’t delay, though… the freebie expires in 48 hours, after which the price is the regular $2.99. This expansion includes 10 new pets to accompany your young adventurers as they explore the Brecken Vale. The first thing that jumps out at me is the Boar pet has a “saddle” icon, and its bonus Mount ability allows players to ride it! As usual, you’ll get the printable Pet Cards, a couple of blank ones for creating your own pets, and a sheet of fold-up paper minis, which you and your kids can color to make those pets your own.